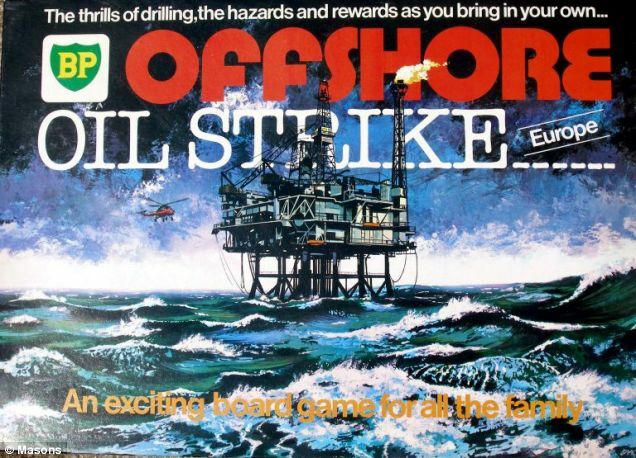 Talk about creepy foresight meets dark humor: The UK Metro unearthed a 1970s board game marketed by BP, “Offshore Oil Strike.” The game’s tag line, “The thrills of drilling, the hazards and rewards as you bring in your own …” seems somewhat regrettable given the company’s current situation. The House On The Hill Toy Museum in Stansted, Essex, is the proud owner of a mint-condition game. “The parallels between the game and the current crisis… are so spooky,” museum owner Alan Goldsmith told the paper. Spooky indeed that simulated blow-outs were once BP’s idea of family fun.